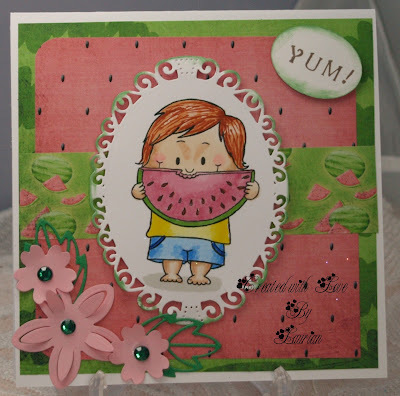 Outside the Box: Another Cutie from Gerda! For the progressive challenge at Gerda Steiner this month we got two digis as Gerda will be away for two months so we get to play extra! I thought this was just too cute! I love watermelon - it just says everything about summer to me and this little man looks as though he is really enjoying it too! I coloured him with Promarkers and used a new Spellbinders die to cut it out then inked around the edge. The papers are from a digital collection from Kmess, the flowers and leaves were cut using some Tattered Lace dies and the sentiment was stamped with some peg stamps. You need to join in at Gerda Steiners to get these cute stamps each month - so what are you waiting for! 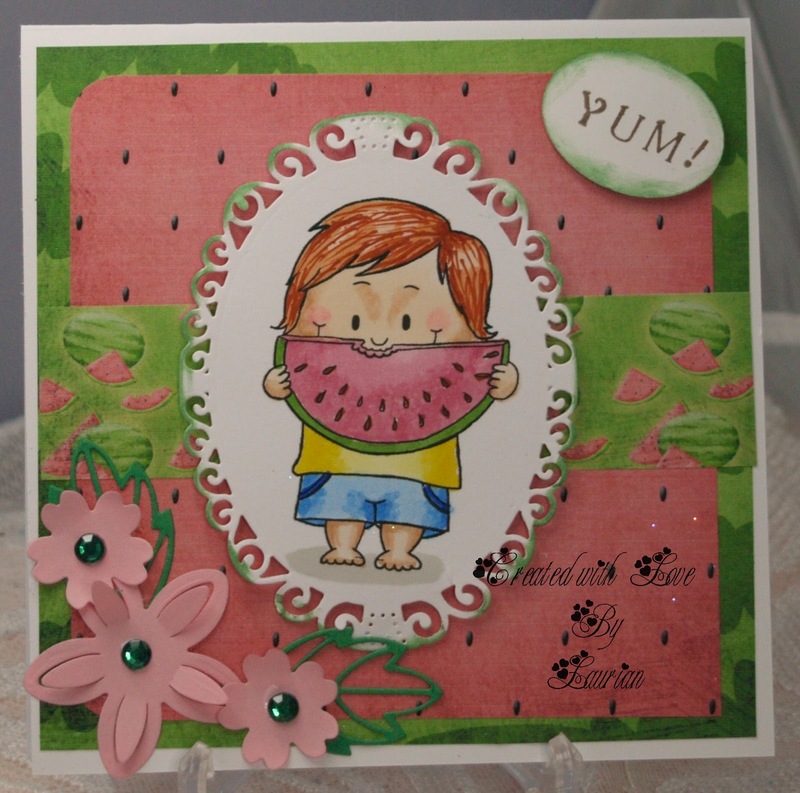 Such a cute image and you've done it up nicely...I could almost reach out to grab a bite of watermelon! Thanks for coming to my blog and appreciate you becoming a follower. I will now join your blog too!